A great deal of research is being done to look at what impact VR may have upon us as humans. In addition to research into potential issues of motion sickness, there are groups exploring the ways in which VR might impact the way humans interact in society. 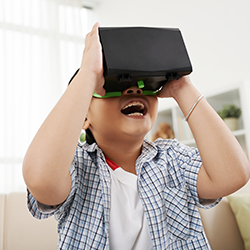 However, to date, there is no significant indication (or evidence-base) that supports the view VR will have negative impacts on children.